Lila, homeless and alone after years of roaming the countryside, steps inside a small-town Iowa church--the only available shelter from the rain--and ignites a romance and a debate that will reshape her life. She becomes the wife of a minister, John Ames, and begins a new existence while trying to make sense of the life that preceded her newfound security. 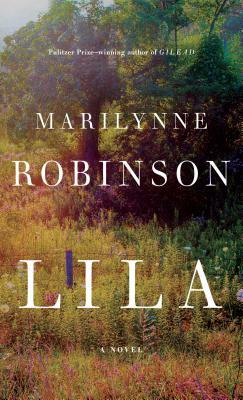 Revisiting the beloved characters and setting of Robinson's Pulitzer Prize-winning "Gilead "and "Home," a National Book Award finalist, "Lila" is a moving expression of the mysteries of existence that is destined to become an American classic.